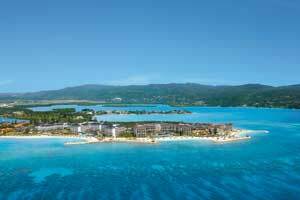 Secrets St. James Montego Bay is an all-suite, all-inclusive, adults-only resort located on the dazzling white-sand shores of Jamaica. 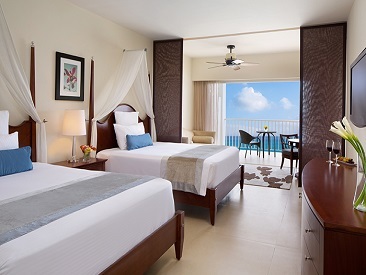 Offering the privileges of Unlimited-Luxury®, opulent suites, 24-hour room service, breathtaking ocean views and superb amenities, Secrets St. James Montego Bay prides itself on having the best in luxurious vacations. This all-suite, beachfront, all-inclusive resort offers the privileges of Unlimited-Luxury® in a romantic, tropical setting on over a half mile of private white-sand beach. With 350 opulent suites, this adults only resort, inspired by Jamaica's rich history, features 24-hour room service, breathtaking ocean views and superb amenities. 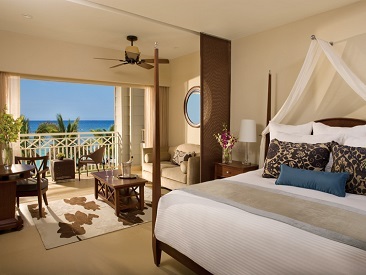 All suites offer spectacular views across the ocean, pool or gardens from spacious private balconies. Butler service is available for all room categories. Secrets St. James is ideally located on the northwest coast of Jamaica, only 20 minutes from the Montego Bay International Airport. Secrets St. James is one of two contrasting (yet complementary) resorts that make up the Secrets Montego Bay Resort & Spa complex. Secrets St. James takes its more traditional inspiration from Jamaica's rich island history, while the adjacent Secrets Wild Orchid offers a more contemporary island experience with warm neutral tones and unique indigenous art. Access to the amenities of both resorts means having a vast selection of gourmet à la carte restaurants, bars and lounges, a lavish spa with oceanfront massage cabanas, a private concierge on every guest floor, a state-of-the-art open-air theater and a full array of activities, all part of the Secrets Unlimited-Luxury® services.